Spencer proudly represents Coal Harbour and the West End. We have new, expanded boundaries! The West End lies west of Downtown, and on three sides is bounded by water: English Bay, Coal Harbour, and Lost Lagoon in world-famous Stanley Park. 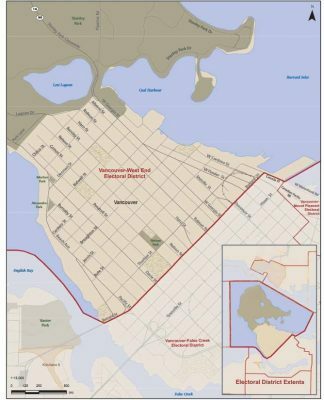 The Coal Harbour part of our constituency lies from Burrard Street west to Stanley Park. Read community statistic and planning documents below. Below are our constituency boundaries.